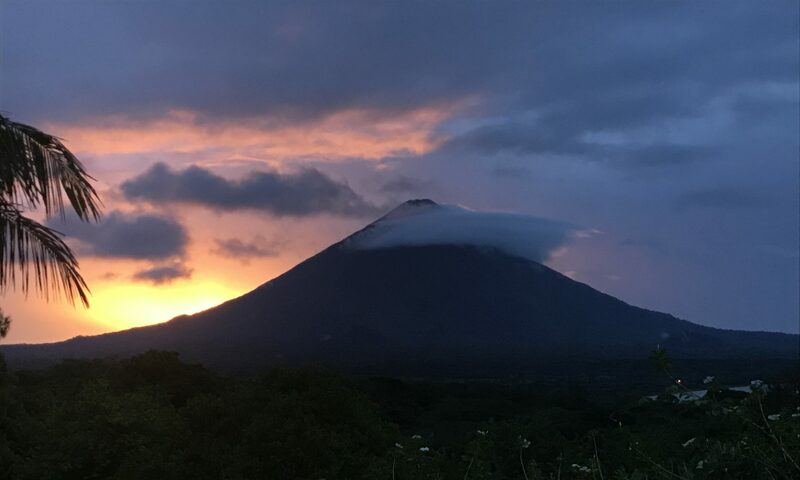 One of the goals of our late-Fall visit to Nicaragua was to strengthen our relationships local pastors/ministries in the communities we serve in Ometepe. Of our three guiding pillars, Spirit, we recently committed to walk alongside one local mission team who minister to “the forgotten ones” (that is their term) into the outlying communities from their base church. This week, I received an update from the field that we had enough in our local budget to purchase & prepare 20 more food kits (rice, beans,oil, sugar, coffee, salt). Each kit feeds an entire family for 7-10 days. This amazing team not only spent countless hours securing, measuring & packaging each meal kit, they spent 20+ hours going to four separate communities (3 in Mérida, 2 in La Palma, 12 en Madroñal and Santa cruz and 5 kits in Sintiope). Each visit was less about the food and more about relationship, prayer and loving on the sick & elderly. It is truly an honor to witness how our trusted team & friends in Nicaragua work together to honor the greatest commandment to “love thy neighbor”. Since June, One Body Global Ministries made it possible to supply at least 220 food kits to the most poor and sick families in Ometepe. To put it in perspective, if each kit feeds 4-6 people for a week, that is approximately 1,100 mouths! I just had to share this good news and ask you to pray for these amazing (and probably exhausted) people who help us love on those who would otherwise feel alone, unloved, or forgotten. We are One Body in Christ!